I'm starting my Monday by again telling myself this: I shall not believe everything a politician tells me. 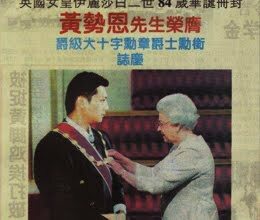 You'd probably have read DAP's Jeffrey Wong Su En's stupid lie about having been knighted. The pictures are from here. But have you read Anwar receives Britain's highest honour? Anwar ni Lord of the Ringworms je layak. Sir Crook needs his brain looked! Media must play a very important role to scrutinize and teropong all their acts..
for the sake of the RAKYAT! Kesian masa depan anak2 generasi muda kita..
Good thing to remember. Also good to remember is that there are politicians in all parties. Great satirical piece at Marahku. Sir crook is cooked. And you believe what that blogger wrote? Why can't I find the this story other than on Marahku's blog? Since we are in utopia mood allow me to digress a bit. I have a solution to UMNOs problem. Half of the UMNO leaders should resigned and allow for new UMNO leaders to take over the helm. The strategy for UMNO to harp upon PKR misdeeds is NOT going to work because if you have people like Hisahmuddin, Khir Toyo, Nor Yakob, Nazri Aziz, Sharizat, KJ and a few others taking the lead to do PKR bashing, the people will say we rather let PKR destroy the country as compared to these UMNO corrupted leaders. This issue with Zarinah and the SC is another that sticks out like a sore thumb. It is obvious that she was appointed by Nor Yakob with Slumberjack's consent sorry not him but his SIL's consent. So all the misdeeds done during those days will now come back to haunt them. Why is PM keeping quiet about it? Why? Why? Like they say if you see a cancer growing in your organisation, go ahead and remove it. Sooner or later the cancer will spread and by the time you want to remove it, it'll be too late. So please la mr PM, do something! Don't just stand there and do nothing. Well this DAP peasant is trying hard to be a poodle of Tony Blair's Socialist Imperialist Global Network. He wanted to emulate Anwar Ibrahim loh ( friend of the Global NeoCons). The authorities better go check the Birthcert/Mycards of this man and his family..
Kalau "SIR" dia berani kelentong, apakan lagi their legal citizenships.. Right before I came to KL in 1994 to work as a reporter, I was given this very valuable advice by a friend: There are three people in this world you shouldn't completely trust, and must be wary of their words - lawyers, car salesmen & politicians. I've avoided numerous potential troubles, disappointments, disasters, problems and heartaches over the years by keeping that advice in mind. I had just turned 21 at that time. What took you so long la? Kau trained kat mana as jounalist? Kan aku tulis "by AGAIN telling myself this: I shall not ..."! Penggunaan "again" itu maksudnya ... ah, you work it out youself lah, ok?